When I learned recently that a friend of a friend was studying to be a fashion psychologist, I immediately wondered what that could possibly entail. Though I understand fashion and psychology, I was curious to find out what it meant to merge the two on a professional level. So, after doing some digging, I discovered Dr. Carolyn Mair, a renowned British psychologist and scientist with a PhD in cognitive neuroscience who has even been interviewed by Alexa Chung. I reached out to Mair and asked her to fill me in on her unusual career, below. 1. How would you define fashion psychology? To me fashion psychology sounds like ‘wardrobe therapy,’ which isn’t at all what I do. I’m a cognitive psychologist who applies psychological science to the context of fashion. So, I am concerned not only with clothing (fashion), but with human behaviour across all aspects of fashion from design through the entire supply chain, to consumption and disposal. We are concerned with the many and varied individual, societal and environmental issues that result directly or indirectly from the fashion industries. Beauty [in particular] is a huge focus, as well as body image, self-esteem, confidence, the sexualisation of women and the selection/treatment of models. With regard to money, [we’ll study] debt that comes from compulsive spending, and over-consumption that results in the disposal of unworn items. This results in the problem of landfill sites and other pollutants. In regards to production, there are many ecological issues such as pollution of lakes and rivers from dye, depletion of natural resources from over-production, etc. 2. What exactly does a fashion psychologist do? What's a typical day in your life like? I am mainly an academic so like most other academics, my days are busy and varied. In addition to preparing teaching materials, supervising research students, managing staff, conducting research projects and attending meetings, I spend a good deal of time meeting people who want to find out how to make a positive difference in a particular area of interest. For example, I was recently contacted by a major UK charity that wanted me to help young people overcome body image issues that have manifested as bullying or as eating disorders. I have also been contacted by an organisation that works with older people to help them boost their self-esteem through the vehicle of fashion. Another example would be a research study I recently completed investigating older women’s perceptions of the industry’s advertising [geared towards] older women. The work is always varied and interesting. I can honestly say, I’m never bored! 3. How did you get involved in fashion psychology in the first place? 4. What would you recommend someone do if they want to give fashion psychology a shot? I developed the world’s first and only Masters courses that apply psychology to the context of fashion. These are the MA Psychology for Fashion Professionals or the MSc Applied Psychology in Fashion at London College of Fashion. I’m delighted to say that the MSc has been accredited by the British Psychological Society which enables graduates to continue studying to become Chartered Psychologists at some point in the future. To be accepted into the MA or MSc programs, students need to submit a proposal in which they identify an existing issue in the fashion world that could be investigated using psychological science, with the aim of making a positive difference. Although we don’t expect the applicants to propose a perfect study, we do expect them to demonstrate a curious mind and the capacity for abstract thought. Very little empirical research in fashion psychology currently exists. As a result, the students need to identify and transfer concepts from other domains to the novel context of fashion. This requires abstract, critical and creative thinking. Many of the students are psychology graduates, but this isn’t a prerequisite and some come from [backgrounds in] business, law, anthropology, fashion, fine arts, history of art or communications. The important characteristics for success in either the MA or MSc programs would be a strong work ethic (there’s a lot of independent study), curiosity (we want to find out how and why phenomena occur to enable us to predict and then change behaviour), and the ability to think creatively (to transfer concepts across contexts to generate new hypotheses). Would you ever consider a career in fashion psychology? Let us know in the comments, and shop some of our favourite fashion books below! 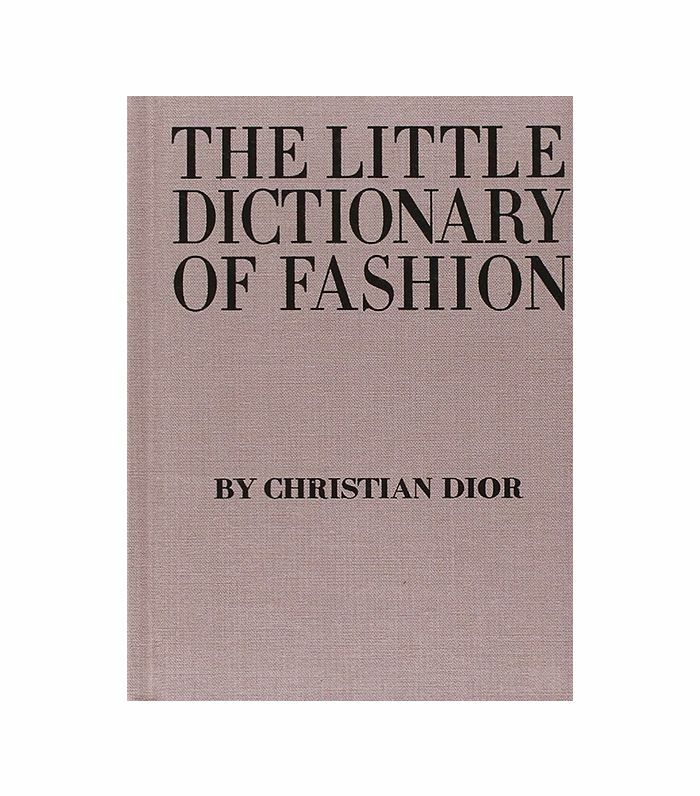 Before there were sites like Who What Wear, there was this book, which provides timeless style tips on everything from wedding to travel attire. Agins explores how fashion went from being an elitest industry to one that caters to the mass market, and shares plenty of juicy industry anecdotes along the way. Drake unpacks the glamorous fashion world of 1970s Paris and focuses in on one of its greatest rivalries: Karl Lagerfeld vs. Yves Saint Laurent.